This is the 7th temple of Sri Shirdi Sai Baba on which i'm writing article that I visited during my 19th Pilgrimage to Sri Shirdi Sai Baba Temple on Friday, 29th December 2017 at Chennai, Tamilnadu. 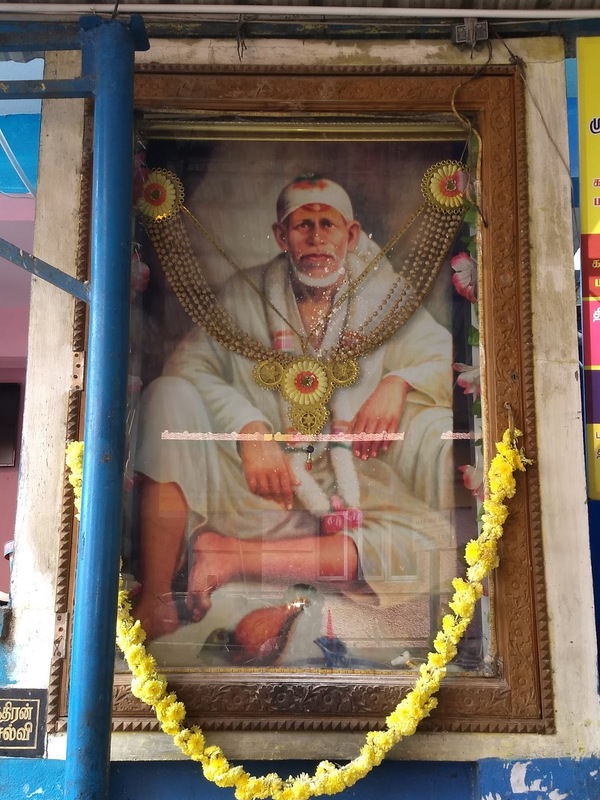 This is the 153rd Sri Shirdi Sai Baba Temple on which I'm Writing An Article under Pilgrimage Series. I am Very Happy to Visit Sri Sai Baba Temple at Adambakkam, Chennai for Puja & Darshan. After my Morning Prayers & Visit to Sri Prasanna Venkateshwara Swamy Temple for Mukkothi Ekadashi Darshan I Headed to Visit Sri Sai Baba Temple in the Morning by around 10:30am. 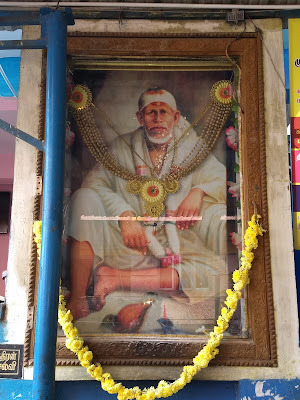 I went in Search of Sri Shirdi Sai Baba Temple Near St. Thomas Mount Suburban Railway Station. 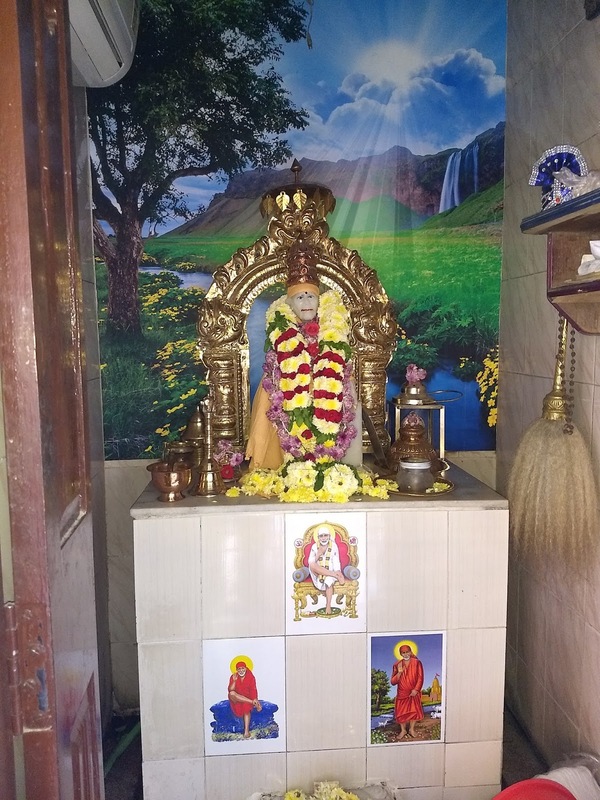 I had Heard about a Baba Shrine in a House & that a Small Sanctum of Sri Shirdi Sai Baba has been Built in front of the House. 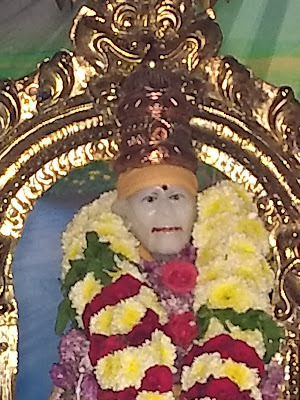 The Baba's Shrine was Consecreted on 26th January 2009. 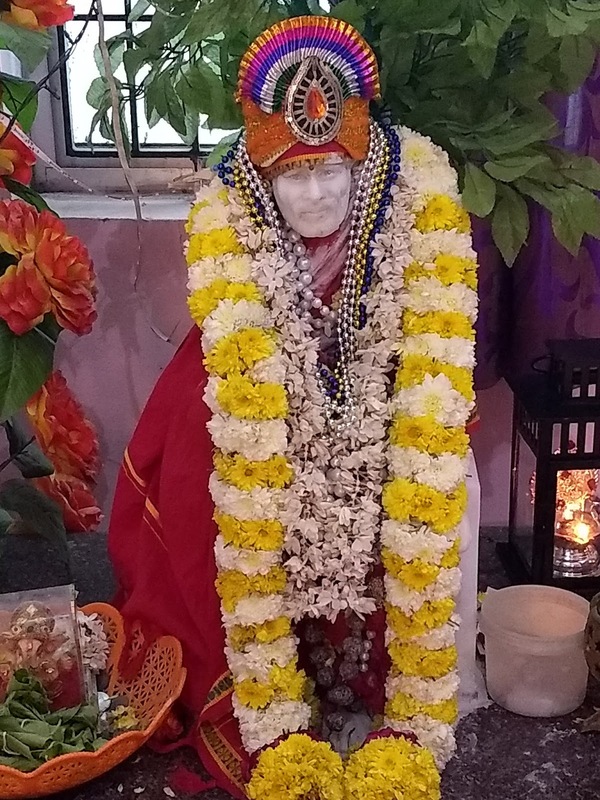 A 2 Ft Marble Statue of Sai Baba has been Installed. 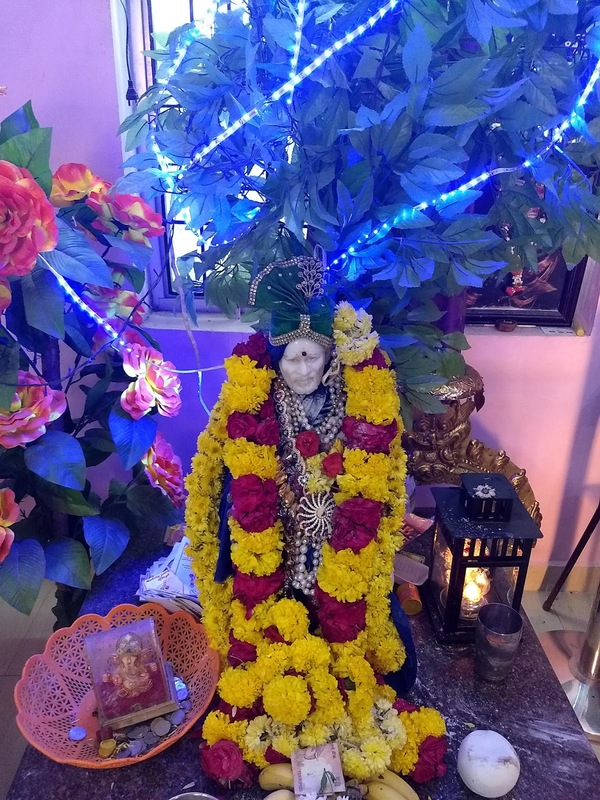 A Dhyana Mandir with a 2ft Statue of Sai Baba has been installed in the Living Room of the House next to the Temple Sanctum. I was Able to Meet the Founder of the Temple who is a Retired Employee of Chennai Airport & he Said it was All Baba's Wish to Get a Sanctum at the Home. 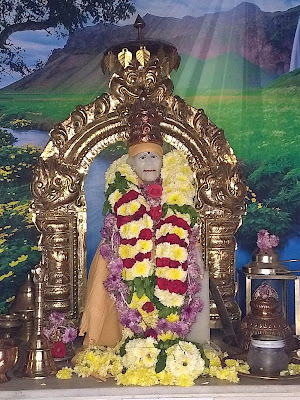 In Today's Alankaram Baba is Wearing A Orange Colour Dress & Gold Plated Crown. I felt very contented visiting Baba.One Good thing is that we are Allowed to Touch Sai Baba's Statue in this Temple Sanctum. 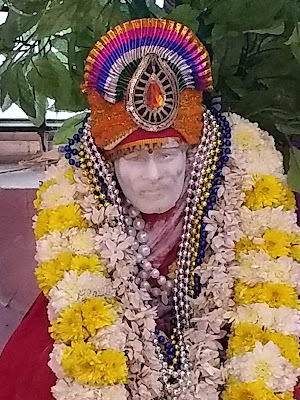 A lot of Garlands has been put on Baba Today. 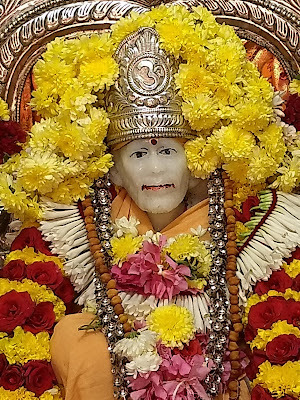 Baba's Complete Statue is Covered with Flower Garlands & is a Feast to the Eyes of Ever Loving Devotees of Sai Baba. 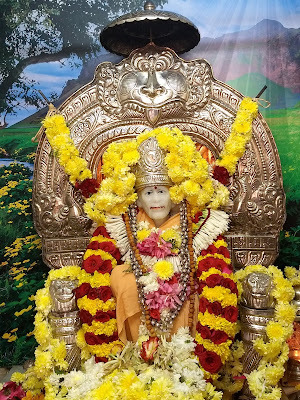 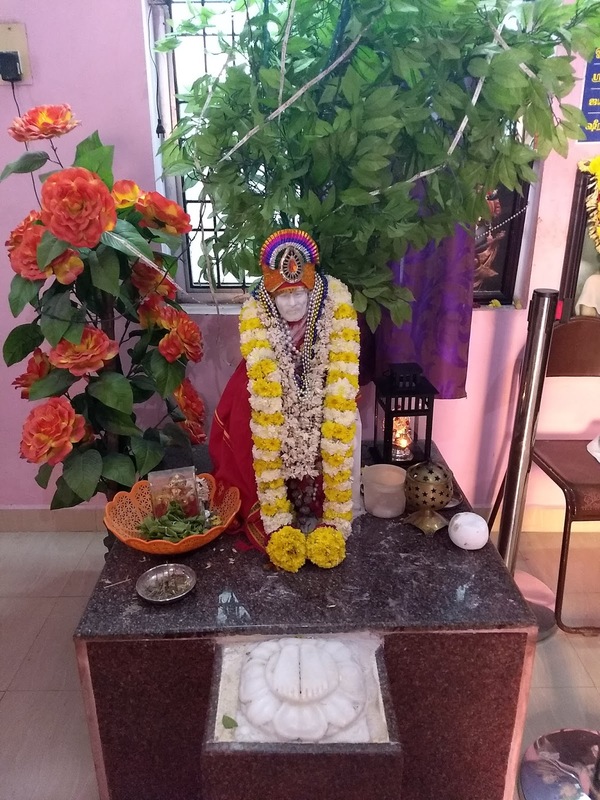 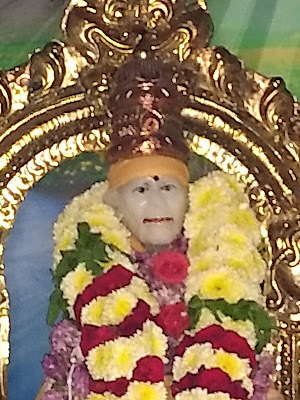 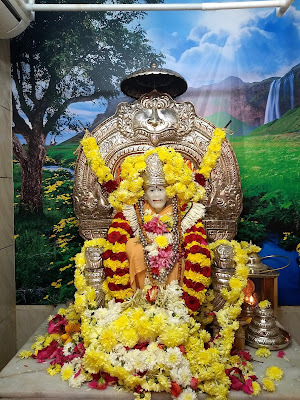 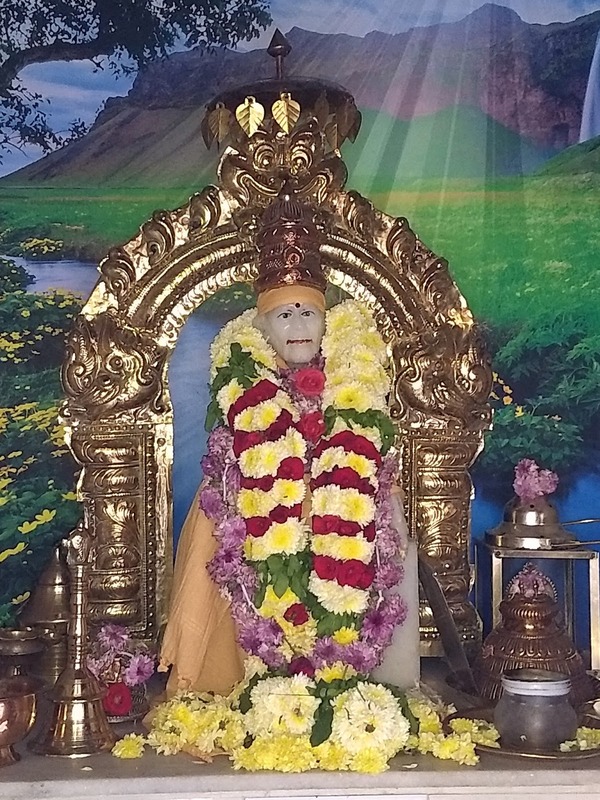 Sri Nava Shakti Shirdi Sai Baba Temple. This Temple is near to Saint Thomas Mount Suburban Railway Station..